Here we are going to see, some practice questions on volume of 3d shapes. A 14 m deep well with inner diameter 10 m is dug and the earth taken out is evenly spread all around the well to form an embankment of width 5 m. Find the height of the embankment. 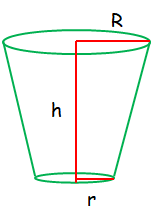 Hence the height of the embankment is 4.67 m.
A cylindrical glass with diameter 20 cm has water to a height of 9 cm. 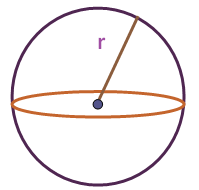 A small cylindrical metal of radius 5 cm and height 4 cm is immersed it completely. 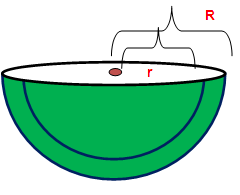 Calculate the raise of the water in the glass? 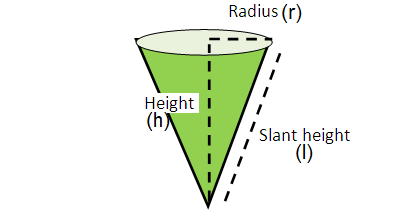 If the circumference of a conical wooden piece is 484 cm then find its volume when its height is 105 cm. 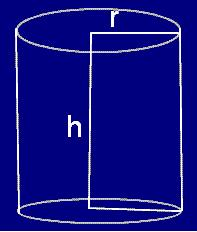 A conical container is fully filled with petrol. 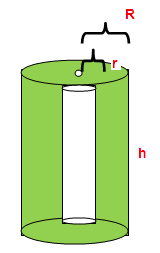 The radius is 10m and the height is 15 m. If the container can release the petrol through its bottom at the rate of 25 cu.meter per minute, in how many minutes the container will be emptied. Round off your answer to the nearest minute. After having gone through the stuff given above, we hope that the students would have understood, "Volume of 3D Shapes Examples". 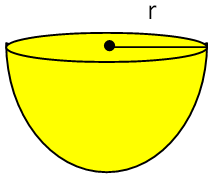 Apart from the stuff given in this section "Volume of 3D Shapes Examples" if you need any other stuff in math, please use our google custom search here.